The US-American singer was born on 08.10.1990. 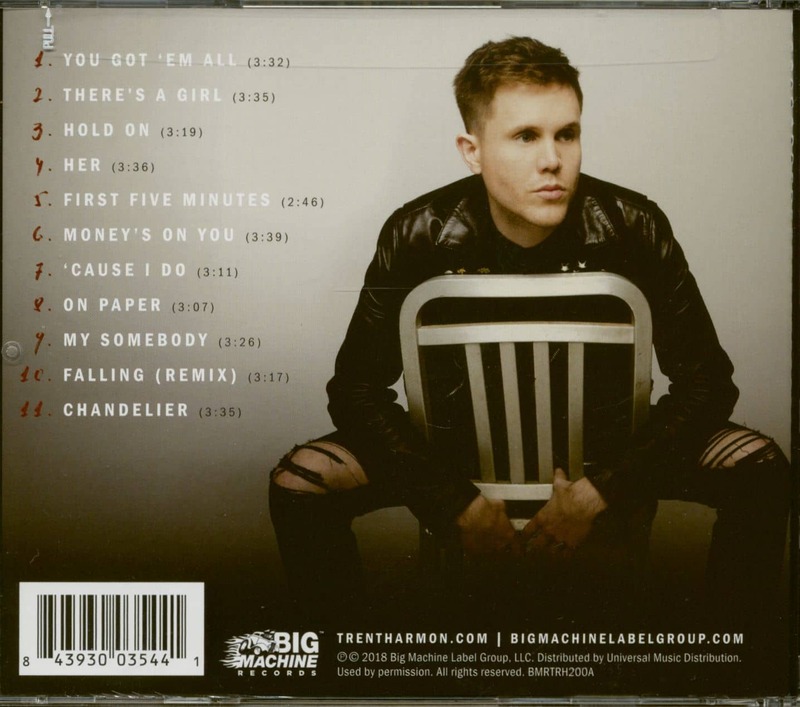 By winning the 15th season of American Idol, Trent Harmon received national attention for the first time. Trent Harmon was excited to tell his girlfriend that he had big news. But she did too…she was leaving. When his longtime love shared she was moving to Thailand to fulfill her dream of teaching overseas, the Country singer-songwriter was heartbroken. Propelled into the writing room with the raw emotion of how much he would miss her, he suddenly felt a kinship with pets everywhere. "I equate it to whenever a dog's owner leaves," says Trent with a laugh. "In their brain, that’s the last time that dog thinks he's ever going to see you again. So, I said it out loud, 'Guys, I'm the dog who she just left forever.’"
Fortunately, Trent’s empty feeling had a happy ending. "Of course, she came back," he says with a sheepish smile. And not only did he get the girl, he delivered a poignant new single, cut-you-to-the-core “You Got ‘Em All (Big Machine Records). The chill-inducing song is a study of the particular type of solitude he was left to experience, running down the laundry list of shared memories and sung in the expansive tenor that won Trent the title on the last season of American Idol in 2016. From the lone piano notes that open the ballad to the story-telling lyrics of a girl fleeing her small town to spread her wings and the boy lost without her, “You Got ‘Em All” perfectly encapsulates that universal bittersweet ache of letting someone go. His expressive vocals blending melody and sentiment of knowing the right thing to do if you truly love someone. “I don't get to be with you, but I hope you're happy. I hope that fills that void that you're leaving me with," sums up Trent. 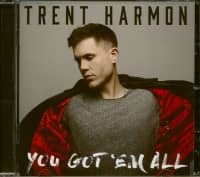 Amazingly, Trent says that he and co-writers Justin Ebach (SESAC Songwriter of the Year 2017) and Jordan Minton—whom he had never met before—wrote “You Got ‘Em All” in under an hour. This writing process was therapeutic for Trent, who over the past year hadn’t been able to record music because of contract restrictions through hisprevious management deal. Though winning American Idol was a dream come true, it brought along a unique set of challenges. Yet like the moments of rising to the top each week, Trent once again has triumphed with his most personal work to date. Growing up working on his parents’ farm and in their farm-to-table restaurant in northeast Mississippi, Trent recalls plugging his headphones in and singing along with everyone from Dolly Parton and Patty Loveless to Elvis Presley and Marty Robbins—his first album purchase—and being inspired to learn piano, guitar and drums to put his own music under that big voice. That soaring-to-the-rafters voice propelled him into the national spotlight, but now, fans will experience the soul behind the singer. With the release of “You Got ‘Em All” Trent exposes his heart, offering more than just the ending creds of TV. Customer evaluation for "You Got 'Em All (CD)"